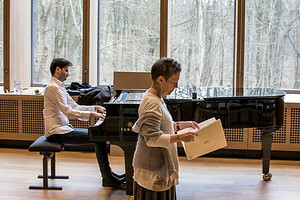 KALAMAZOO, MICHIGAN (February 14, 2019) — In partnership with pianist Maria João Pires, the Irving S. Gilmore International Keyboard Festival presents her collaborative, interdisciplinary Partitura Project in its first-ever workshop in the United States, to be held in spring 2020 as part of The Gilmore’s 15th biennial festival, which runs from Wednesday, April 22 to Sunday, May 10, 2020. The workshop runs from Friday, May 1 to Saturday, May 9, 2020. In reaction to the hyper-competitiveness of today’s classical music world, Ms. Pires launched the Partitura Project in 2014 to promote cooperation and social engagement among pianists, principally through daily group sessions, public recitals, and concerts in the community. These activities—grouped together into a multi-day workshop—not only encompass in-depth musical work, but are also designed to encourage interaction between participants and with the public, offering an alternative to the traditional master class experience. Workshops have been held in countries across Europe—including Portugal, Belgium, France, Italy, Switzerland, Germany, and Croatia—as well as in Japan. The nine-day workshop brings together Ms. Pires, project member and pianist Miloš Popović, a non-pianist collaborator (TBD), and six participants chosen by application. Six days are dedicated to private group workshop activities, including a coaching and discussion session each morning. Ancillary activities are scheduled each evening and have in the past included lectures and film screenings. All workshop repertoire and activities are oriented around a unique theme, to be determined in advance of the workshop. Following these six days, Ms. Pires and participants present a special concert that reaches those in the greater Kalamazoo community with little exposure to classical music. Previous Partitura Project community concerts have taken place at locations including hospitals, psychiatric facilities, and prisons. After an off-day for rehearsal, the workshop concludes in the concert hall with a public recital as part of the 2020 Gilmore Keyboard Festival line-up. The program features Ms. Pires with one or two selected workshop participants. project collaborators Miloš Popović and Julien Libeer (left to right). Pianists may apply to participate in the workshop via thegilmore.org/Partitura. Participants must be 18 years or older and must provide their own travel arrangements to the Gilmore Keyboard Festival. Additional information is provided on The Gilmore’s web site. 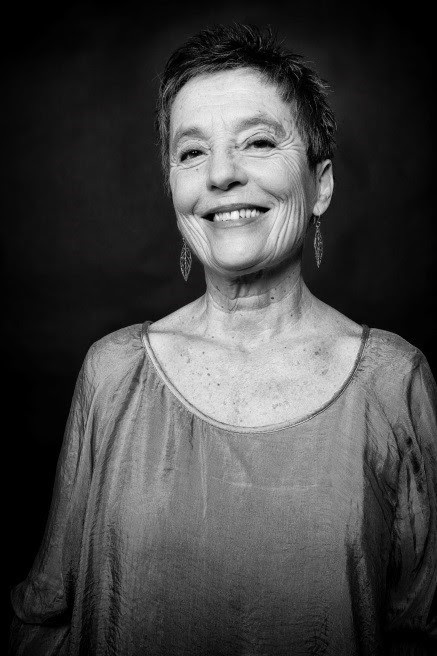 Born on 23 July 1944 in Lisbon, Maria João Pires gave her first public performance at the age of 4 and began her studies of music and piano with Campos Coelho and Francine Benoît, continuing later in Germany, with Rosl Schmid and Karl Engel. In addition to her concerts, she has made recordings for Erato for fifteen years and Deutsche Grammophon for twenty years. Since the 1970s, she has devoted herself to reflecting the influence of art in life, community and education, trying to discover new ways of establishing this way of thinking in society. She has searched for new ways which, respecting the development of individuals and cultures, encourage the sharing of ideas. In 1999, she created the Centre for the Belgais Centre for the Study of the Arts in Portugal. Maria João Pires regularly offers interdisciplinary workshops for professional musicians and music lovers. In the Belgais concert hall, concerts and recordings regularly take place. In the future these will be shared with the international digital community (pay and non-pay). 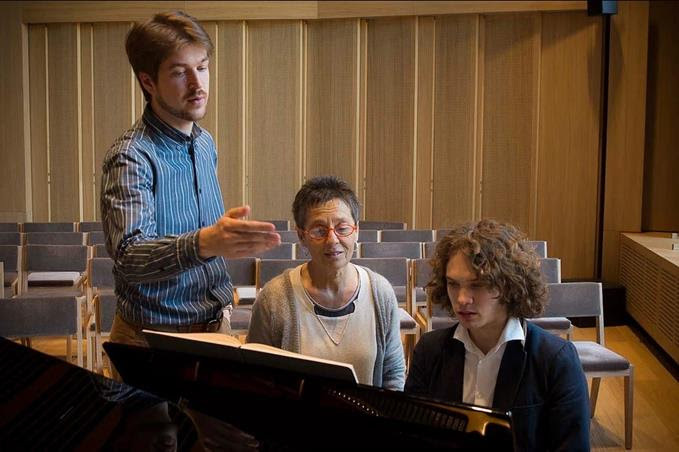 In 2012, in Belgium, she initiated two complementary projects; the Partitura Choirs, a project which creates and develops choirs for children from disadvantaged backgrounds as in Belgium the Hesperos Choir, and the Partitura Workshops. All of the Partitura projects have the aim to create an altruistic dynamic between artists of different generations by proposing an alternative in a world too often focused on competitiveness. This philosophy is being spread worldwide at Partitura projects and workshops. The Gilmore International Keyboard Festival is the legacy of Irving S. Gilmore, a Kalamazoo businessman and philanthropist whose special devotion to keyboard music and its musicians inspired the creation of this biennial festival, as well as the Gilmore Artist and Gilmore Young Artist Awards, in 1989. The festival’s mission is to promote and develop world-class keyboard musical experiences that inspire present and future artists and audiences. This is achieved by identifying exceptional keyboard artists through a noncompetitive process and then providing significant support to enhance their careers; presenting world-class music festivals featuring the finest international keyboard artists; providing an outstanding keyboard educational program; and supporting the creation of keyboard music. The current Gilmore Artist, named in 2018, is Igor Levit, and past Gilmore Artists are Piotr Anderszewski, Leif Ove Andsnes, Rafał Blechacz, Ingrid Fliter, Kirill Gerstein, Ralf Gothóni, and David Owen Norris. The next Gilmore Artist will be announced in early 2022, and the 15th Gilmore Keyboard Festival will be presented in the spring of 2020. Thirty-four Gilmore Young Artists have been awarded. Two new Gilmore Young Artists will be named in the summer of 2019. For more information, visit thegilmore.org.